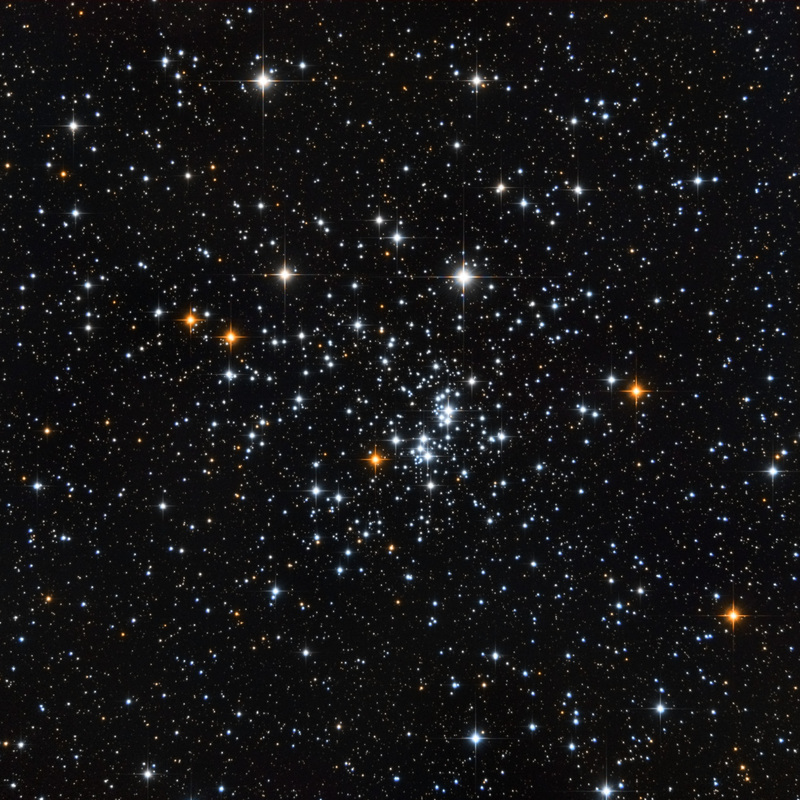 NGC 869 and NGC 884 are Double Cluster in Perseus sometimes designated χ Persei and h Persei. The two clusters are separated by only a few hundred light years and probably form the core of the immense stellar association Perseus OB1. 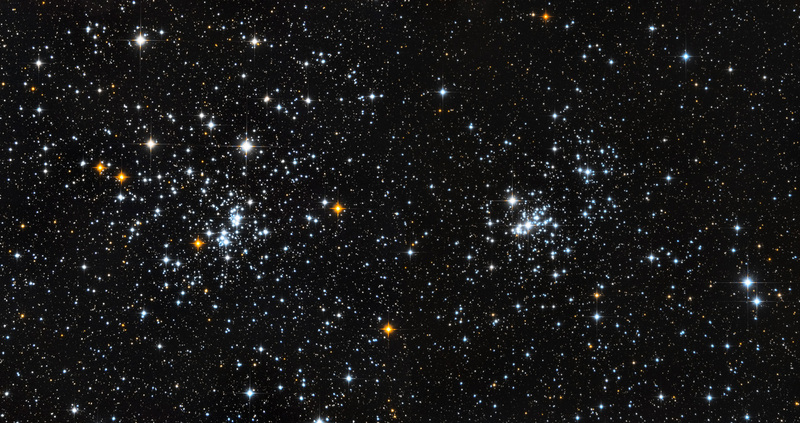 Both clusters are relatively young: NGC 884 is 3.2 million years old, and NGC 869 is 5.6 million years old. There are more than 300 blue-white super-giant stars withing both clusters, and these two clusters are also blueshifted meaning they are heading towards Earth at a speed of 22km/s. 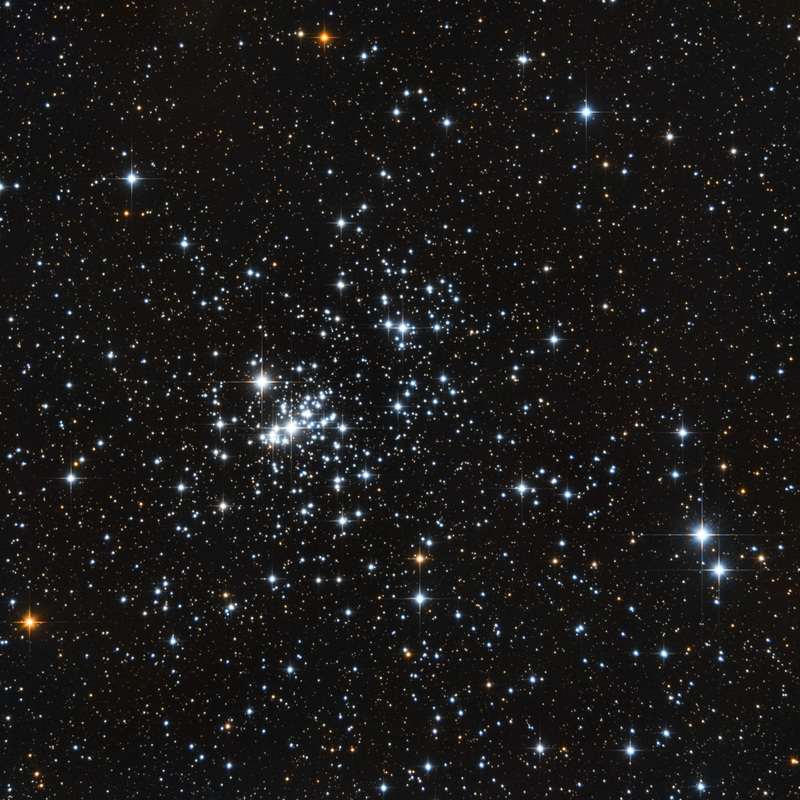 A few red supergiants are seen at considerable projected distances from the double cluster and may either belong to the background Perseus OB1 association or alternatively could represent massive stars previously ejected from the dense clusters.